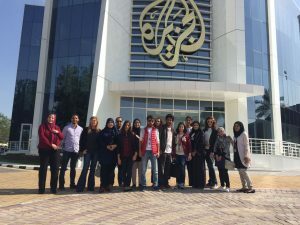 Over a dozen students from all over the Arab world were given the possibility to participate in the four day workshop “Social Media in PR” in Doha, Qatar. 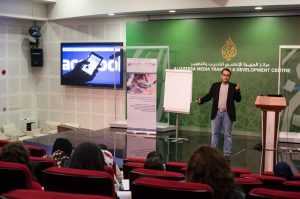 Through a collaboration of AREACORE and the Mass Communication Department at Qatar University with Al Jazeera TV network and the International Public Relations Association – Gulf Chapter (IPRA-GC), the students learnt extensively about chances and possibilities this new technology poses for the field of public relations. In the last two decades Social Media gained great significance and visibility in the public relations field, to the extent that most PR functions such as mass communication, research, crisis management, reputation management and customers relations can now be managed through social media. One of the greatest advantages of social media in public relations is their ability to reach a great number of audiences and gauging their positions and opinions in matters that relate to the organization. Social media also enable PR practitioners to provide instant feedback and engage in public dialogue regarding matters that are raised by the public. 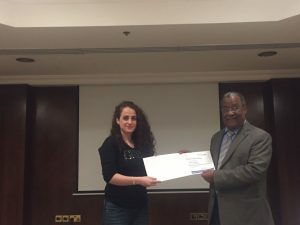 With the professional expertise of our partners form Al Jazeera and IPRA-GC, the workshop aimed to create theoretical understanding and practical knowledge of the use of social media. 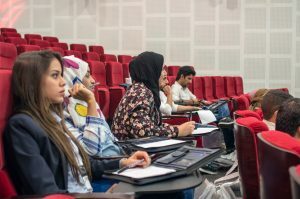 The participants who came from Jordan, Algeria, Tunesia, Oman, Lebanon and Qatar greatly enjoyed the workshop, which not only gave them the opportunity to advance further in their field of study, but also connect with other students of the region.